What would it be like to see everyone as a friend? Twelve-year-old Eli D'Angelo has a genetic disorder that obliterates social inhibitions, making him irrepressibly friendly, indiscriminately trusting, and unconditionally loving toward everyone he meets. It also makes him enormously vulnerable. Eli lacks the innate skepticism that will help his peers navigate adolescence more safely-and vastly more successfully. By intertwining Eli and Gayle's story with the science and history of Williams syndrome, the book explores the genetic basis of behavior and the quirks of human nature. 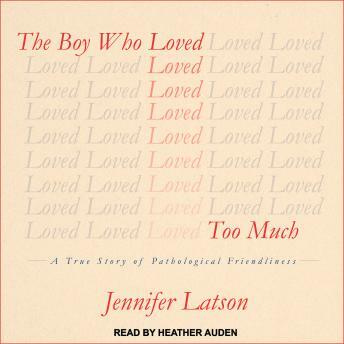 More than a case study of a rare disorder, however, The Boy Who Loved Too Much is a universal tale about the joys and struggles of raising a child, of growing up, and of being different.